T-Mobile USA has agreed to stop claiming its 4G LTE network is faster than Verizon Wireless’, after the advertising industry’s self-regulation body agreed with Verizon that T-Mobile’s claim was unsupported. The National Advertising Division (NAD) “recommended T-Mobile discontinue claims that it has the fastest 4G LTE network” and “also recommended that T-Mobile discontinue claims that its LTE network is ‘newer’ than Verizon’s and that Verizon’s LTE network is ‘older,'” the Advertising Self-Regulatory Council said in an announcement Thursday. T-Mobile agreed to comply with the NAD’s recommendations, the announcement said. The ruling and T-Mobile’s agreement to stop the disputed claims came after Verizon filed a challenge with the industry body. The self-regulatory system helps advertisers settle disputes without lawsuits and avoid stricter government regulation. Verizon argued that the universe of users who download the Ookla and OpenSignal apps is a subset of all smartphone users that is likely to include more sophisticated consumers who are interested in monitoring the speed they experience when using their mobile device. Ookla-measured speeds for Verizon customers may have slowed at the end of their monthly billing cycle when Verizon customers reached data limits and experienced de-prioritization. Verizon customers, who were experiencing de-prioritization for the first time during the time period for which T-Mobile provided crowd-sourced data, may have monitored their speeds more closely than customers of T-Mobile who had past experience with data de-prioritization. Because the speed tests may have over-sampled de-prioritized Verizon customers, Verizon argued, T-Mobile’s data may have misrepresented the comparative 4G LTE speeds most Verizon customers actually experience. “Following its review, NAD concluded that the Ookla and OpenSignal Speed test results in the month after Verizon introduced unlimited data plans might have had a bias in favor of T-Mobile and as a result did not support a comparative claim that T-Mobile has the fastest 4G LTE network,” the announcement of NAD’s decision said. 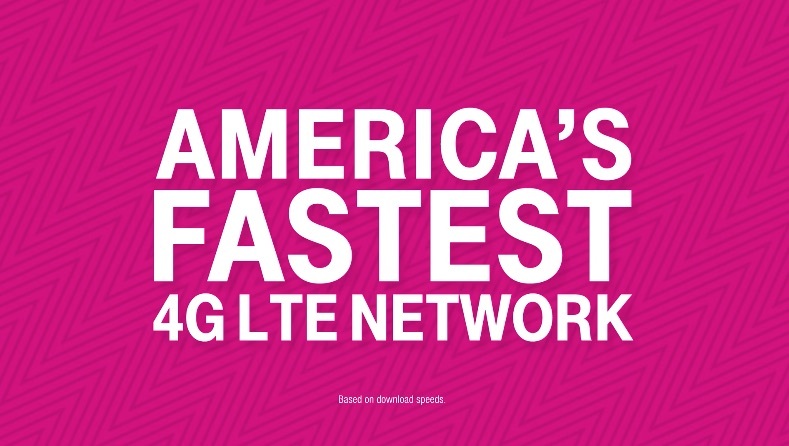 UPDATE: Even though T-Mobile agreed to follow the NAD’s recommendation that it “discontinue claims that it has the fastest 4G LTE network,” T-Mobile is once again claiming that it has the fastest LTE network. In a statement to Ars, T-Mobile said that the NAD recommendation applies only to claims based on one month of data that was challenged by Verizon, and that newer data also shows T-Mobile has the fastest network. T-Mobile’s statement to Ars did not point to any specific data to support this claim. Verizon bases its own network claims mostly on testing by RootMetrics, which conducts drive tests throughout the country instead of relying upon consumers to use speed test apps. RootMetrics has consistently determined that Verizon’s network is the fastest and most reliable in the US. But now, T-Mobile’s decision to accept the NAD’s recommendations will force the carrier to change how it uses speed test data in advertisements. In a similar case in 2015, the NAD determined that T-Mobile can use crowdsourced data to support certain claims but recommended that T-Mobile discontinue other potentially misleading claims. The NAD urges advertisers to base their claims on accurate data. “NAD cautions advertisers to regularly monitor and reexamine their advertising claims to make certain that the underlying data upon which they are based is current so that their advertising claims are truthful,” the Advertising Self-Regulatory Council said in last week’s announcement. Verizon also challenged T-Mobile’s claims that its network coverage is nearly as broad as Verizon’s, but the NAD sided partially with T-Mobile last week.